Aimetis Corp. is a Waterloo, Canada-based software company offering integrated intelligent video management solutions for security surveillance and business intelligence applications. Founded in 2003, the company is a global leader in intelligent video technology and is propelling the adoption of video analytics as an integral component of video management solutions. It's unique in providing a single platform for easily migrating customers from simple analog systems to intelligent IP video systems; offering the highest levels of service and support; and providing the industry's easiest to use products. Aimetis has distributors and certified partners in over 100 countries and serves a variety of industries, including retail, transportation and others. AxxonSoft is a leading developer of technologies for integrated security systems. Since the company's inception in 2003, over 100,000 successful projects worldwide have been implemented based on AxxonSoft software. According to IMS Research, AxxonSoft is one of the top four global developers of VMS with its open platform enjoying 60% market share in Russia per Frost & Sullivan analytics. More than 2,500 partners perform over 1,500 installations every month and 36 offices on five continents ensure rapid deliveries and exemplary partner support. AxxonSoft is a contributing ONVIF member. AxxonSoft products are at the core of over 100 Safe City municipal surveillance projects as well as security systems for retailers, banks, airports, seaports, manufacturing facilities, and many other governmental and commercial sites. To learn more, visit www.axxonsoft.com. Axis offers intelligent security solutions that enable a smarter, safer world. As the market leader in network video, Axis is driving the industry by continually launching innovative network products based on an open platform - delivering high value to customers through a global partner network. Axis has long-term relationships with partners and provides them with knowledge and ground-breaking network products in existing and new markets. Axis has more than 2,600 dedicated employees in more than 50 countries around the world, supported by a global network of over 90,000 partners. Founded in 1984, Axis is a Sweden-based company listed on NASDAQ Stockholm under the ticker AXIS. For more information about Axis, please visit our website www.axis.com. CamIQR net is the solution for network-based video surveillance systems that meets your practical needs and has a solid future. CamIQR net combines specialized components and modules to create a uniform and user-friendly complete system. The system combines the benefits of parallel processing and central administration even in scenarios where the installation is across multiple locations (branch operations). CSVision Technology places great emphasis on innovation during the continuous development of our network video surveillance platforms in order to continue to deliver the very best in video management. With industry leading technology, CSVision has developed a number of platforms including the “CSVision4.0 Professional”, “CSVision5.0 Enterprise” ，“CSVision6.0 Corporate”.CSVision has an open platform philosophy to ensure compatibility with broad range of equipment from multiple vendors in the security industry, such as ACTI, AXIS, BOSCH, Hikvision, Ioimage, IQINVISION, Panasonic, SONY, SAMSUNG, SANYO, VERINT... and with the manufacturers set up a project-based software support and cooperation. CSVision has become a cross-platform integration capability of the professional development of independent software vendors (ISV),providing a wealth of integration opportunities and complete cross-platform support.CSVision continues to develop and grow within the security market due to strong team-based marketing and sales support servicing both the domestic and international markets. The goal of CSVision is to become the market leader for the global security industry. We strive to provide our customers with the best value-added services while building world-class enterprise security software.For more information, visit: gwww.csvision.cn. CNL Software is a world leader and global provider of Physical Security Information Management (PSIM) software, designed for complete Integrated Situation Management. Our award winning technology is deployed to secure major cities, critical infrastructure and global commerce. CNL's software sits at the heart of some of the largest, most complex and ground-breaking security integration projects in the world. Our work with leading organizations is helping to shape the future of security by offering thought leadership on key issues such as asset protection, energy reduction, process compliance and business advantage in converged physical environments. IPSecurityCenter™ is the ultimate software based integration and management platform. It connects and manages disparate building and security technologies such as video surveillance, life critical systems, radar, analytics, HVAC, PIDS, GPS tracking and GIS mapping. Through aggregating intelligence from these systems, it allows organizations to react faster and more precisely to incidents. The software provides technological solutions for the areas of digital intelligence, corporate surveillance, and urban security. It has approximately 12 thousand customers worldwide, with about 200 manufacturers and over 5000 integrated camera models. Presently, its platform is continuously developed in Brazil, commercialized in over 100 countries, and translated into several languages, making the software one of the best in international market evaluations. It has own offices and representatives in Brazil, The United States, Hong Kong, England, Australia, New Zealand, Argentina, Colombia, Mexico, and the United Arabic Emirates. More information can be found at www.digifort.com.br. Genetec is a pioneer in the physical security and public safety industry and a global provider of world-class IP license plate recognition (LPR), video surveillance and access control solutions to markets such as transportation, education, retail, gaming, government and more. 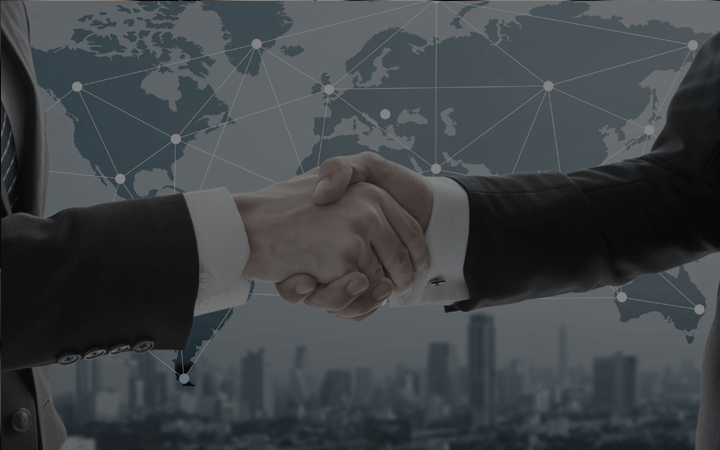 With sales offices and partnerships around the world, Genetec has established itself as the leader in innovative networked solutions by employing a high level of flexibility and forward-thinking principles into the development of its core technology and business solutions. Genetec’s corporate culture is an extension of these very same principles, encouraging a dynamic and innovative workforce that is dedicated to the development of cutting-edge solutions and to exceptional customer care. For more information, visit genetec.com. Milestone Systems is an international company that sells video surveillance management software in many countries around the world. Our platform is used to ensure greater safety and security for people, products and assets, to help manage environmental issues, and to optimize business processes. Our XProtect software is distributed and sold through an authorized partner channel and through the Internet, a traditional and standard business model for software companies. This means we primarily have contact with distributors and resellers and do not directly handle sales to end users. OnSSI offers breakthrough VMS technology that’s field proven at thousands of installations globally. The company's flagship Ocularis IP security and surveillance platform delivers open architecture, scalability and process automation at reduced operating costs. And with the addition of Ocularis-X, Utilizing OnSSI's High Definition Interatcive Streaming (HDIS) OnSSI delivers the fastest and highest resolution mobile and web access video delivery solution available. SeeTec AG is one of the leading vendors of manufacturer-neutral full IP video management software, supporting a wide range of edge device from all well-known hardware manufacturers and providing the SeeTec Multi Solution Platform with integrated vertical solutions and interfaces to numerous third party applications. In addition to the standard video surveillance products made in Germany such as SeeTec Cayuga S50, S100 and Infinity, SeeTec offers additional modules such as license plate recognition or video analytics. Besides merely security-related solutions, SeeTec provides value packages amongst others for the retail, finance and logistics sector, integrating video surveillance with business processes. This makes the use of video management systems more efficient and convenient. SeeTec supports its customers in all project stages – starting with planning and consulting and covering also the after sales stage with a comprehensive service approach to keep the video system up to date at any time. Trainings for SeeTec sales partners and end customers are available all year round and on an international basis. Besides the headquarter in Philippsburg, Germany, SeeTec is operating sales offices in Austria, Switzerland, France,Scandinavia, Turkey and the United Kingdom, further markets such as the Netherlands, Spain, Portugal and Russia are covered by dedicated sales persons. Sony Corporation, headquartered in Tokyo, Japan, is a leading manufacturer of audio, video, communications, and information technology products for the consumer and professional markets. Its motion picture, television, computer entertainment, music and online businesses make Sony one of the most comprehensive entertainment and technology companies in the world. Sony recorded consolidated annual sales of approximately $87 billion for the fiscal year ended March 31, 2011, and it employs 168,200 people worldwide. International Integrated Systems, Inc. (IISI) is a large-scale international professional benchmark company of information and communication technologies for system implementation and software development. IISI’s areas of expertise encompass public sector, financial sector, healthcare, smart city, and telecom & internet services, which were built up over the past thirty years. Our industry-leading task force covers sales, marketing, consulting, engineering and project management elites, possessing numerous professional certificates and strong background of large-scale projects for IT system planning, deployment, maintenance and operation. IISI is devoted to providing services with consistent innovation and honesty. Cooperating with global IT service providers, IISI offers worldwide customers competitive and intelligent solutions. We are striving to become a leader providing state of the art solutions to support clients to achieve competitive edge for success and growth. Ipsotek is the world leader in Scenario based Video Analytics and is expert across a wide range of applications in both the commercial and public sectors. Deployments include: perimeter protection, intrusion detection, investigation & forensics and the management of traffic, crowds and operations. The patented scenario based approach allows multiple behaviour descriptions to be applied simultaneously or in predefined sequences; and it is these scenario combinations that create an exact description of the target behaviour, thereby giving dependable real alerts and dramatically reduced false alarms. The company was established in 2001 with headquarters in the United Kingdom and offices in the Middle East, APAC and Americas, delivering core solutions to clients globally. Key verticals include: Government, critical national infrastructure, aviation, road, rail and banking/finance. Key deployments include: 26 International Airports across the globe, MOIs in KSA and UAE, Transport for London, Australian Parliament, Abu Dhabi National Oil Company, Al-Azhar Mosque, Sheikh Zayed Grand Mosque, London Eye, KAUST and many others.